If you have a tooth made fragile from a large filling or multiple dental procedures, our dentist in Troy, MI may recommend a zirconia crown. A dental crown (sometimes called a “tooth cap” by our patients) covers the entire visible portion of your tooth above the gum line. Zirconia is an extremely durable material, which means the crown can be made thinner. As a result, our dentist won’t need to remove as much tooth enamel to make room for the dental crown. Many years from now, when you need your crown replaced, you’ll have more of your tooth left than if you had a crown made from a different material. A zirconia crown is durable enough to stand up to years of wear and tear. In fact, zirconia is strong enough that it is also used for artificial joints. This tough ceramic crown also has a translucent appearance, which helps it blend in with your natural teeth. For teeth that are visible when you smile or talk, our dentist may recommend a front tooth crown made of zirconia to help you maintain a beautiful smile. However, zirconia crowns are also strong enough to be used for molars (back teeth). The dental crown procedure is the same whether you decide on zirconia or a different material. During your first appointment, our dentist will remove enough enamel that the crown won’t look bulky sitting on top of your tooth. Next, he will take impressions of your teeth and send them to the lab where the zirconia crown will be made. In the meantime, our dentist will place a temporary crown while you wait for your permanent tooth restoration. When arrive for your next appointment, your permanent crown will be ready. Given proper care, your new tooth crown should last for years to come. 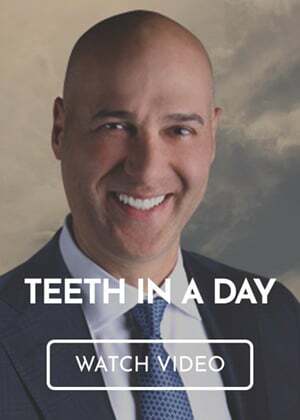 Dr. Ara Nazarian is a dental crown dentist in Troy, MI. To request an appointment with the Premier Dental Center, call (248) 457-0500.